UK based artisan Amanda Burton has a science background. 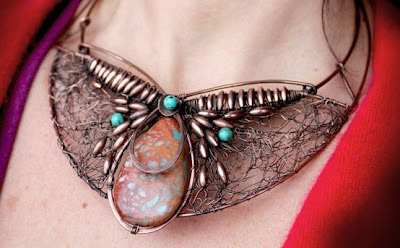 Her creative drive is so strong though her long term goal is to freelance as an artist and a jewelry designer. Amanda's website, Wire Moon shows her incredible talent at drawing and mixed media work as well as in wire jewelry making. 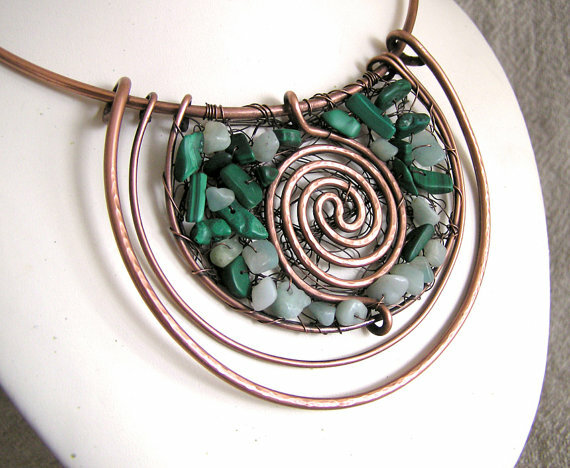 Amanda uses recycled copper wire as much as possible. Nature is her main inspirational source so it is not surprising she loves the earth tone colors and natural gemstones. 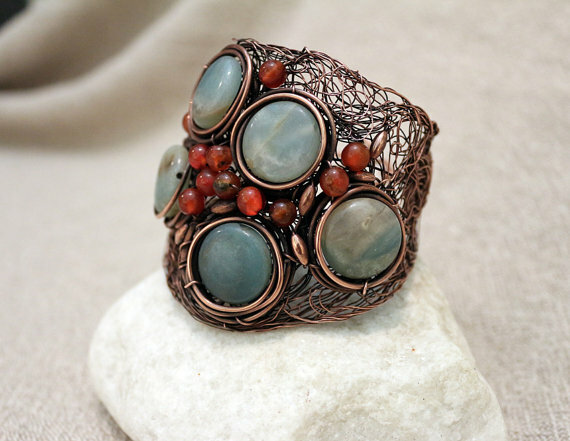 Her special gift is in her ability to make bold organic designs using thick wire and weaving techniques. That free spirited approach is evident in her art work too. Amanda said, " I have always been creative but had some how neglected that for several years. Now I have rekindled my love with art and making I could not imagine life without it. 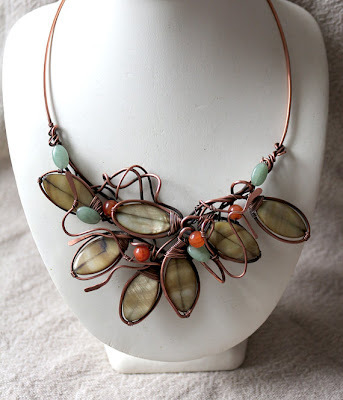 All my time now is spent dreaming, designing, painting or wireworking." Time well spent! Thanks Linda for the hat tip! 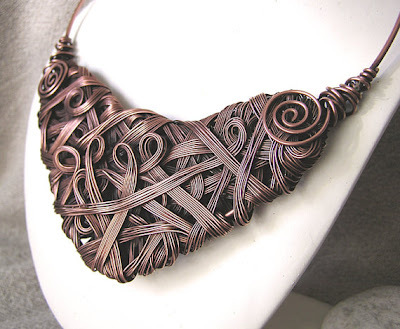 Beautifully creative and unique wire jewelry!! Thank you for sharing this. Love, love, love her work! Yes!I have seen her work before. I wanted to do an article about her but never heard back. Wanted permission from her prior to posting her work. Isn't she incredible! She is a genius. I have to try to get ahold of her again.